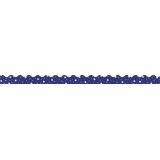 (13) 21⁄4" x 3' strips, 39 total feet per pack. 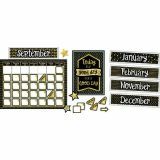 Add a touch of sparkle to your room while you teach and reinforce calendar concepts with this striking calendar set accented with gold foil. 80 pieces. Let your style shine with Sparkle + Shine classroom décor and cut-outs! Printed on card stock, durable classroom cut-outs are ideal for a variety of purposes. Play games, label desks, and enhance bulletin boards with assorted Colorful Cut-Outs. 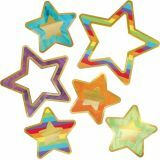 With a wide variety of shapes, colors, and styles, classroom cut-outs are perfect to use as game pieces, cubby tags, and more. To create a cohesive theme, be sure to browse coordinating Sparkle + Shine classroom décor. 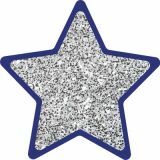 Decorate and label any area of your classroom with Sparkle + Shine cut-outs. The Sparkle + Shine collection will help your classroom reach new style heights! 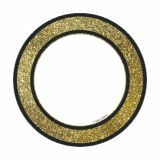 The Sparkle + Shine Gold Glitter Dots Colorful Cut-Outs® pack contains 36 identical gold glitter dots (5" x 5") that can be used in a variety of ways to add a fun touch to your classroom. Accent your classroom displays in style with Sparkle + Shine cut-outs! Motivate students to reach for the stars with the Sparkle + Shine collection! 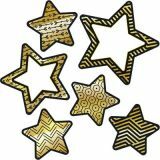 The Sparkle + Shine Gold Glitter Stars Colorful Cut-Outs® pack contains 36 identical gold glitter stars (5.36" x 5.126") that can be used in a variety of ways to add style to your classroom. 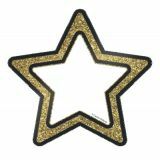 Play games and label areas of your classroom with Sparkle + Shine classroom décor and cut-outs. 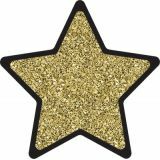 Sparkle + Shine classroom décor and cut-outs add instant style to your learning environment. Inspire students to reach for the stars with the glamorous Sparkle + Shine collection! 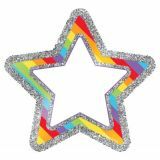 The Sparkle + Shine Rainbow Glitter Stars Colorful Cut-Outs® pack includes 36 identical rainbow glitter stars (5.36" x 5.126") that can be used in a variety of ways to add pizzazz to your classroom. Die-cut shapes printed on card stock. Approx. 5-1⁄2". 36-39 pieces per pack. 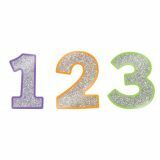 The Sparkle + Shine Colorful Glitter Combo Pack EZ Letters has the pieces you need to design dynamic displays! All characters feature gold glimmer to help your message stand out! Take your displays from dull to dazzling with Carson-Dellosa's EZ Letters. 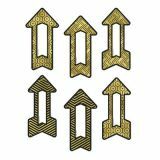 These letters add a stylish touch to any classroom, and you can use them for any grade. Make sure to view other Sparkle + Shine products to create a cohesive classroom theme. Pre-punched pieces are ready to use! Includes 70 uppercase letters, 87 lowercase letters, 20 numbers, 20 punctuation marks, and 22 symbols. 219 pieces.